In this post we will explain how to create a new user in Raspberry Pi by replacing the default one. The basic configuration of groups and permissions will also be discussed. Make sure that you have correctly configured your keyboard, specially if your password includes special signs, such as brackets or underscores. In a next step you should include this user in all the groups where the pi user was. There are different ways to do this operation. From my point of view, the easiest way is just to edit the file /etc/group with vi or your preferred text editor. Then you can replace (if you are going to delete the default pi user) or add (using a comma) the new user in all the groups containing the pi user. Option two consists of using the command groups when logged in with user pi to write down the groups containing pi and then add them, subsequently, to the new user. 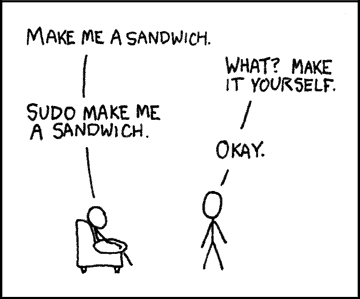 As you may have already noticed, some commands need to start with sudo because they need privileges to run. You should never log in into your Raspberry Pi as root user rather to use the sudo command (SUperuser DO) to grant a command access as the superuser, since this is a much better (and securer) alternative. This will allow you, first of all, to restrict user privileges and also to log the activities taken by users when sudoing. 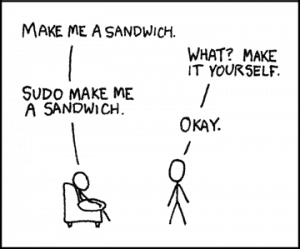 Let’s take a closer look to the sudo configuration file. In your Raspberry you can find it in /etc/sudoers. The first ALL denotes that this rule applies to all user root logged in from all hosts. The second ALL allows user root to run commands as all users. The third ALL allows user root to run commands as all groups. The fourth and last ALL allows root to run all commands. Note that if you want to force sudo to ask for a password, you should change the text NOPASSWD:ALL to PASSWD:ALL. As we decribed in a previous post, raspi-config utility can be used to automatically login in console or boot mode. However, it will only work with the default pi user. Therefore, if you have some experience with bash, you can edit the script to adapt it to your user name (find the Github code here).